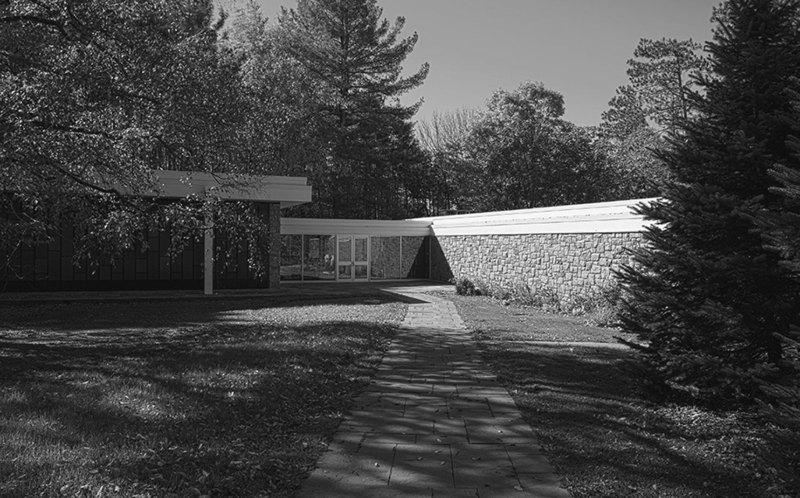 Chapel House is a 1959 International Style building on the campus of Colgate University in upstate New York designed by J. Walter Severinghaus of Skidmore Owings & Merrill. 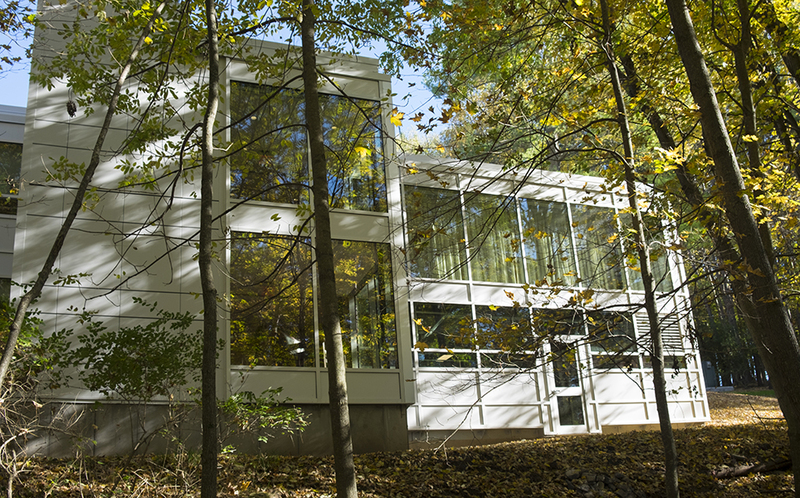 Nestled into a wooded hillside, this building was designed to serve as a place for solitude and spiritual reflection. 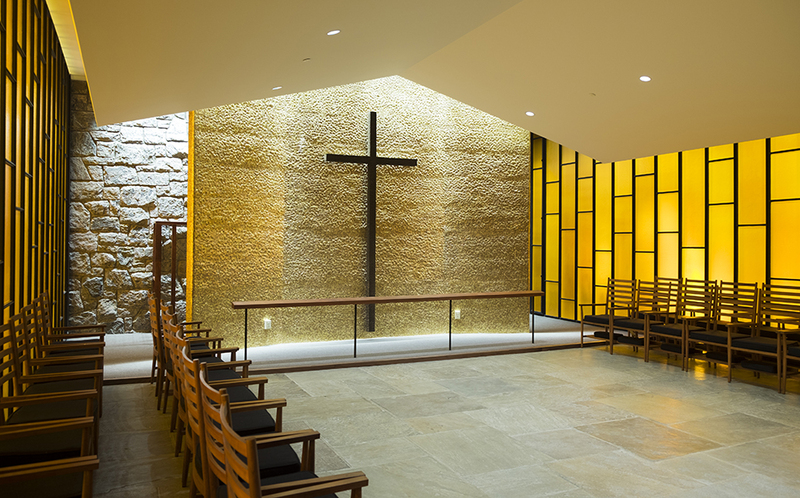 It houses a non-denominational chapel, library, music room, and overnight accommodations for guests from both within and without the University community. 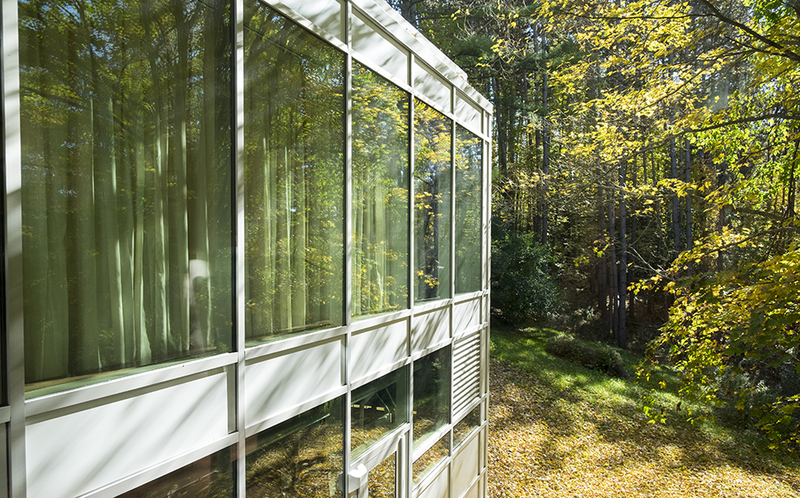 Built at a time when energy costs were low, the original Chapel House design needed updates to improve its energy profile. 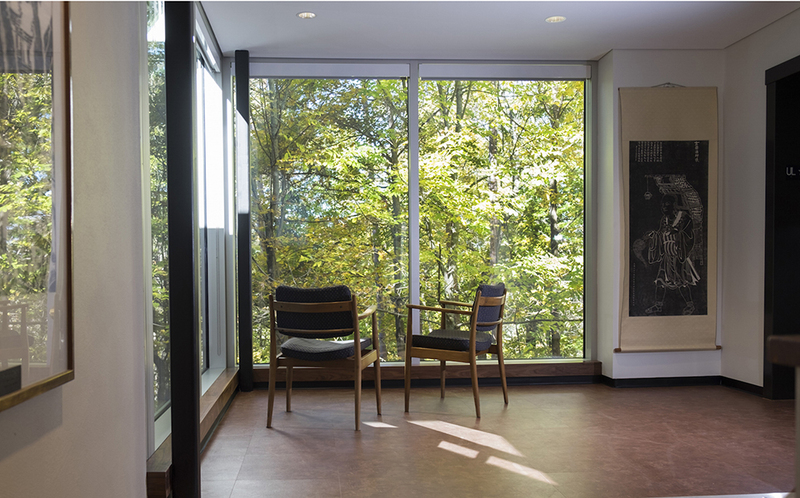 C&H was selected to execute a series of upgrades and renovations that will improve building energy performance, as well as assure accessibility for all users and maintain the architectural integrity of the original. Throughout this process, C&H facilitated a dialog with stakeholders to assure that the unique character of Chapel House is preserved for posterity. Replacement of existing mechanicals with a geothermal heat pump that provides both heating and cooling to the entire building. 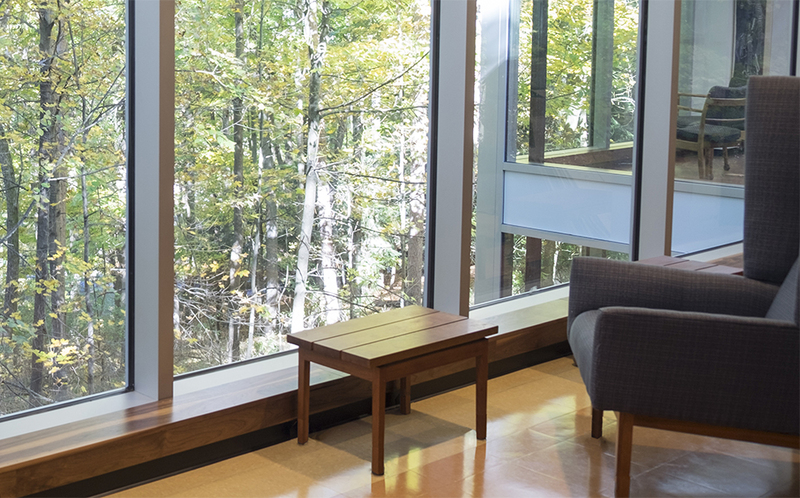 Fresh air will be provided to all rooms via an Energy Recovery Ventilator, which reclaims conditioning energy from inside air before it is exhausted. 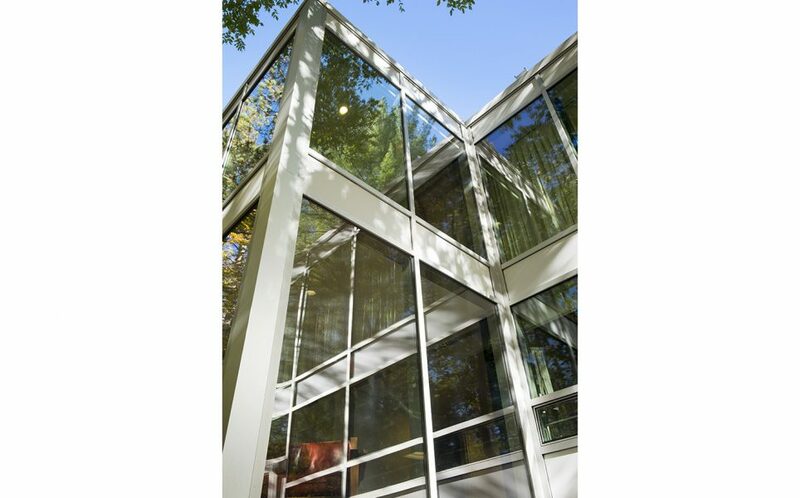 The existing curtain wall system will be replaced with a modern high performance assembly to minimize heat loss and thermal bridging. Roof replacement with improved drainage and increased insulation. A new addition on the inconspicuous north facade will house an elevator and lobby, greatly improving the accessibility of the building. 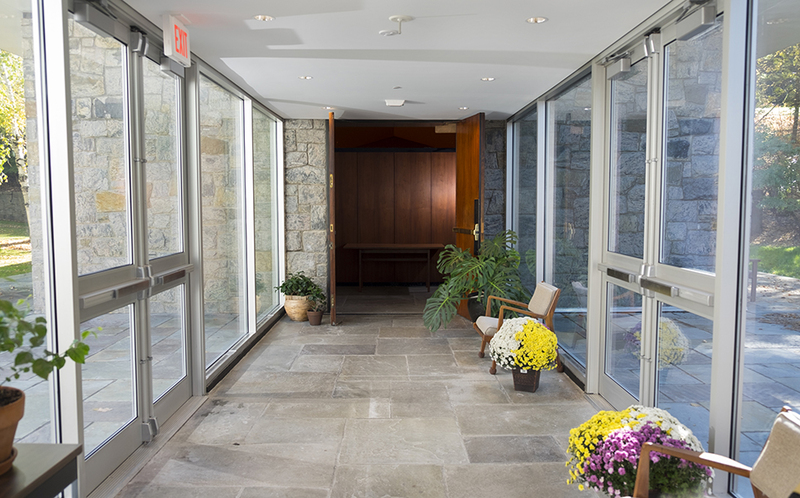 New accessible guest suite will allow universal access to retreats at Chapel House. Two new ADA restrooms on the main floor provide facilities for all visitors and staff. Reconfiguration of the main level to locate the dining room for good daylighting.